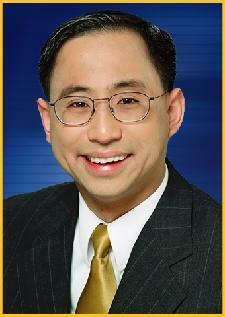 Is robert mak leaving TV? We didn't think much about it Sunday when KING5's Upfront with Robert Mak ran a retrospective of his award-winning local, policy and politics show. Strangely, it wasn't for any particular or auspicious anniversary -- the show's been on for over 6 years -- Sunday's look-back celebrated the 344th show. Today we're hearing all over the place that Mak will be leaving KING5 to join the staff of a yet unnamed politico as policy director. Mak isn't answering our queries. Neither is News Director Mark Ginther. The word flying around Dexter Avenue North is that Mak is leaving just ahead of "looming layoffs" at KING5, and that things had got "squirrely" for Mak because Ginther "doesn't get" the show. A former KING staffer says Mak weathered a similar storm a while back. "This kind of programming has been in trouble if not long gone everywhere. KING5 has been the only Seattle major running anything like it. The writing has been on the wall for a long time." Who can fill in the hole left by Mak? is one question, but will there be a hole to fill? is probably a better one. With the upcoming layoffs and the trend in general against locally produced news shows, we're not optimistic. We'd have to agree with a Seattle politico who says: "I would argue that Mak is really the only local tv journalist that is truly substantive about covering politics." Where will Mak land? a policy director job sounds like a major office like Gov. Gregoire's or one of the senators.